Well actually they are not missing if you add them and this is what I have done with these paintings here. Compare the two paintings in each case as 'before' and 'after' and you will see what I mean. The 'before' are OK paintings - textural, expressive and dramatic but...add the birds and hey presto, the paintings come alive! 22 x 15 inches (half imperial) Arches 140lb (300gsm) Not 100% rag content watercolour paper. 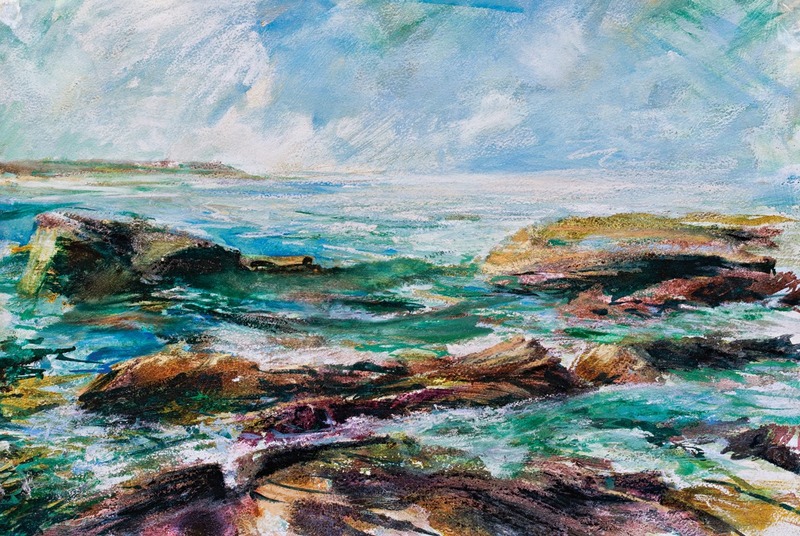 Pastel, watercolour and gouache over gesso ground. Adding 'living' elements such as the birds in this case or figures maybe in another painting, could ruin a painting altogether since the viewer will be drawn to the figures and see nothing else robbing the painting of any chance for exploration and thus equal attention throughout so, more often than not I leave these things out. However, now and then, adding that all important element to focus on can bring the composition together as a whole and give the painting real meaning. This so happened to be the case with the award winning painting I created earlier this year 'Peregrine above Malham Cove' winning the Royal Talens award at Patchings Open Art Competition 2014. The painting on its own was good but the bird made it great! This so happens to be the case with the following paintings. Remove the birds and the paintings become soulless and void of meaning. Adding the birds places wildlife in context and gives the other elements with real scale. 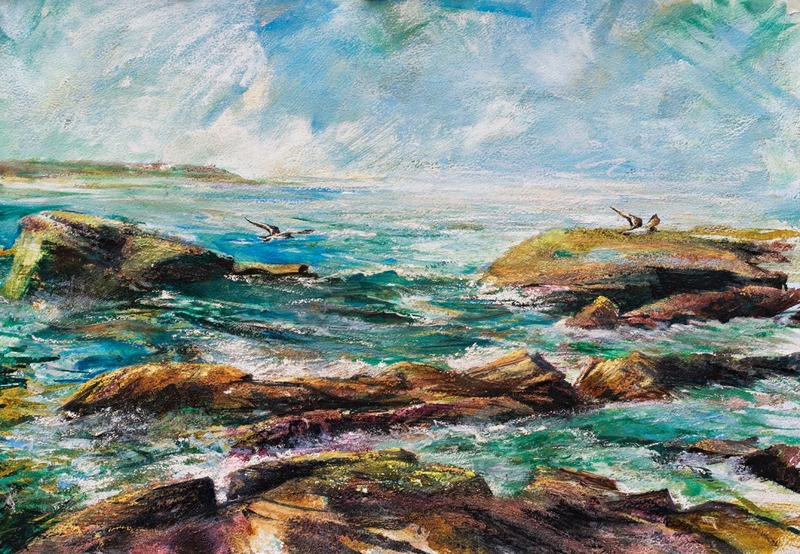 In the painting - 'Heading out - Flamborough,' the Knott flying over the sea and the rocks, although quite large and accurately detailed (taken from MY OWN photographic reference with a big long lens), are not too dominant but sit in the landscape and are perfectly in tune with it. Clearly you can see how camouflaged they are with lost and found edges. Adding them anywhere else and they would have dominated. boxed mdf gloss varnished and framed with white slip and deep black stained ramin frame. 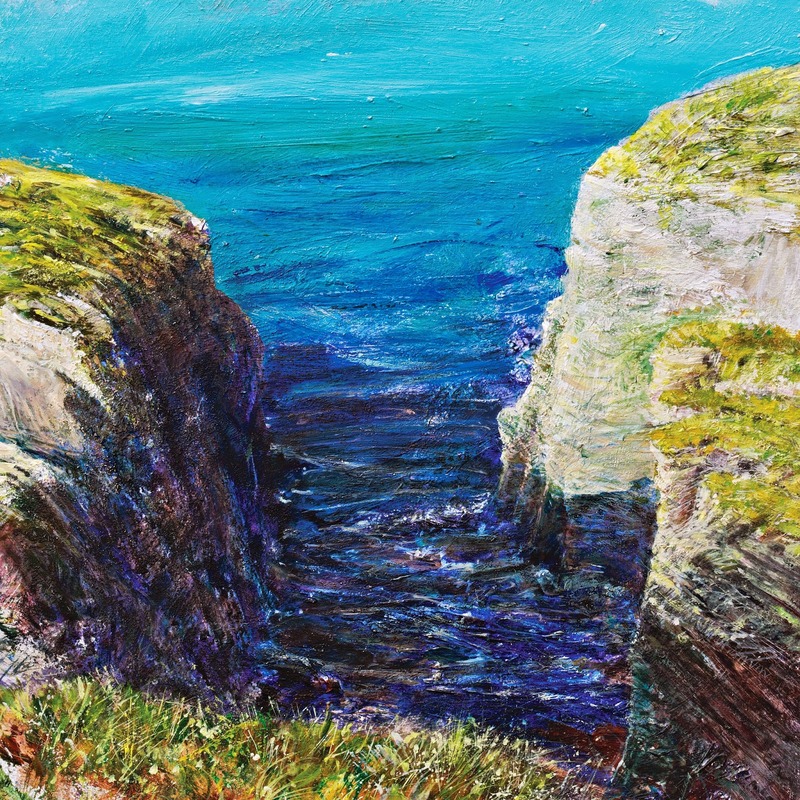 In the second painting 'Tide in, tide out - Bempton', the sea birds this time add scale to the cliffs. These cliffs are hugh! Anyone who visits Bempton cliffs and Flamborough cliffs along the East Coast of Yorkshire will be (and are) completely blown away by their scale and majesty. I'm never disappointed by the views along this coast and I go there a lot painting and drawing as much as I can. More seascapes from Bempton to come soon!